A musicologist looks at the music of the 1950 as it relates to currents in American society as a whole. Wierzbicki (Musicology/Univ. of Sydney; Film Music: A History, 2008, etc.) logically breaks the subject into genres—pop, rock, jazz, film music, Broadway, opera, traditional and modern classical music, and “mavericks” such as John Cage—and identifies key themes and cites pieces of music that exemplify or display them. For mainstream pop, he notes a move away from the big bands of the swing era to solo singers as well as an emphasis on sentimentality over danceability. Rock ’n’ roll kicks off a discussion of the new prominence of teenagers, juvenile delinquency, and fears of social unrest. Wierzbicki views jazz in terms of the Beat Generation’s alienation and rejection of mainstream values. In the background are trends like McCarthyism, the nuclear arms race, conformity, and the other concerns of the post–World War II era. Especially interesting is the author’s tracking of currents in classical music, within which composers were more consciously responding to European intellectual and social issues. On the other hand, his treatment of other genres is sometimes lacking. This is especially true with jazz, where he misses the diversity of both the music and its audience. Wierzbicki largely ignores Miles Davis and Dave Brubeck, two iconic yet very different musicians of the era, while writers like Kerouac, Ginsberg, and Mailer get most of the space in the chapter. This emphasis leads to some interesting insights but at the cost of oversimplifying both the music and the era. Nor were rock and pop as monolithic as a reader unfamiliar with 1950s music might gather from the book. Similarly, the author discusses the music of Hollywood and Broadway in terms of the plots in which the songs appear. That tells readers something useful about, for example, the roles available to women in the ’50s but somewhat less about the music itself. 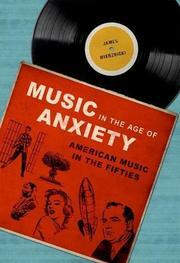 An ambitious yet frustrating account of music in an era that has much in common with our own.